This project involved 9 separable portions delivered by Rapid over the 2011-2012 period. 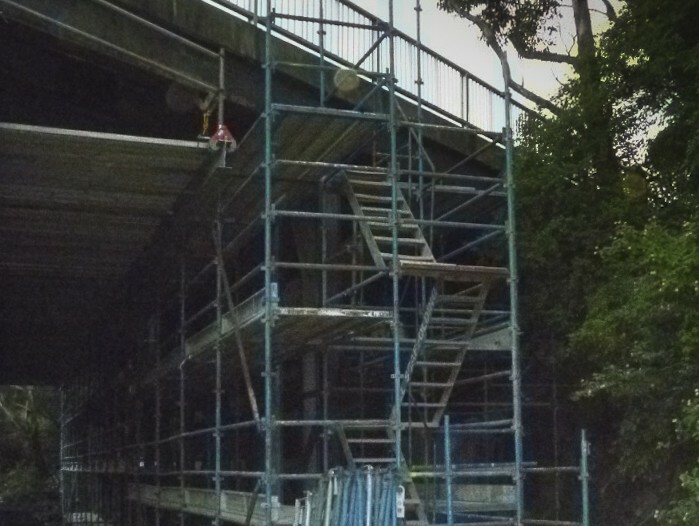 Works were delivered to road and rail over– and under-pass bridges in regional and metropolitan areas and involved concrete repairs, abrasive blasting to remove lead-based paint and the application of special 2-pack epoxy coatings to all bridge structural elements. Work was coordinated with RailCorp possession weekends and much of the work also involved road occupancy and strict environmental encapsulation, control, air and health monitoring. Rapid delivered work to all nine bridges over a period of 18 months starting early in 2011, aligning our site activities to strict access restrictions and tight schedules including major weekend track possessions as well as partial road closures.